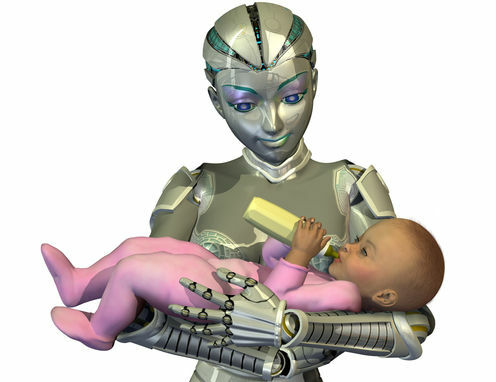 What’s Mother’s Day if you’ve been born in a machine and raised by robots? 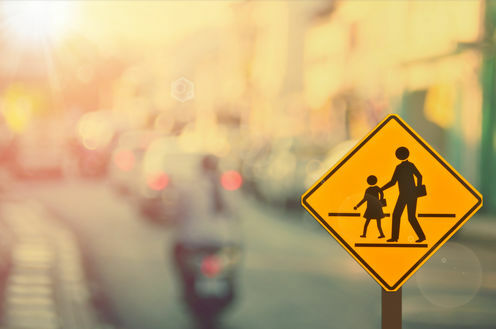 As far-fetched as it may seem today, there are a couple of compelling reasons why some humans may one day be born without either a mother or father as we now know them, and with no other humans around to bring them up. The first is the uninhabitable Earth scenario: doomsday. This is the idea that one day our planet will not be able to support human life. This may be due to catastrophic climate change brought on by a large asteroid or comet impact, a nuclear winter following a global nuclear war or a pandemic so severe that humans do not survive. Whatever the cause of our demise, if humans want to ultimately survive and one day re-emerge, it makes sense to store the building blocks of people – ovum and sperm – ready for a resurrection of the human race once our planet is habitable again. There are already gene banks around the world that have been created to store plant seeds for just this kind of eventuality. The second scenario is the interstellar spaceship idea, where spacecraft are launched from our solar system to nearby stars in search of potentially habitable planets. In this form of galactic colonisation, new humans are only created if the planets found are suitable. This is a common theme in science fiction and was a core part of the story in the recent Interstellar movie where 5,000 embryos were sent in the Endurance spacecraft. In both scenarios, there is an assumption that humans can be automatically conceived, survive gestation in a machine, and be born and raised to live an independent life. They will then be able to have their own children and hence ensure the ongoing survival of the human species. The current best bet for this to succeed is to use robots as surrogate parents for the first generation of new humans. But how realistic is this? Do we have the technology now, or will we in the near future? There are three stages in the development of a human embryo and foetus that need to be considered when automating the process. 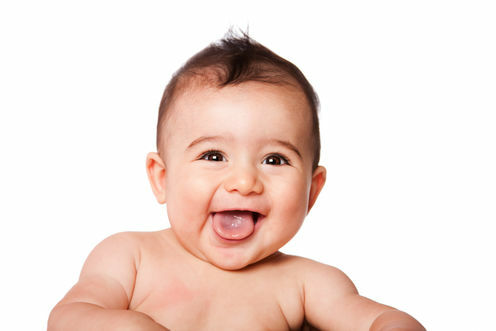 The first is in vitro fertilisation (IVF), which is already routinely carried out in a lab. Fully automating the IVF process is plausible in the near future and is already desired to improve outcomes for potential parents today. Even if such technology did not exist, this step could be bypassed by using already fertilised eggs. Scientists have already taken the first step towards this by showing that embryos can be grown in the lab for two weeks after fertilization. The second stage is that of early gestation, prior to around 22 to 24 weeks gestation, when a foetus does not have viable lungs. During this time, the embryo would need to be housed in an artificial uterus. Maybe surprisingly to many, there has been much research into the development of artificial wombs, a field of science is known as ectogenesis. Diagram of the artificial womb concept by Emanuel M Greenberg, 1955. 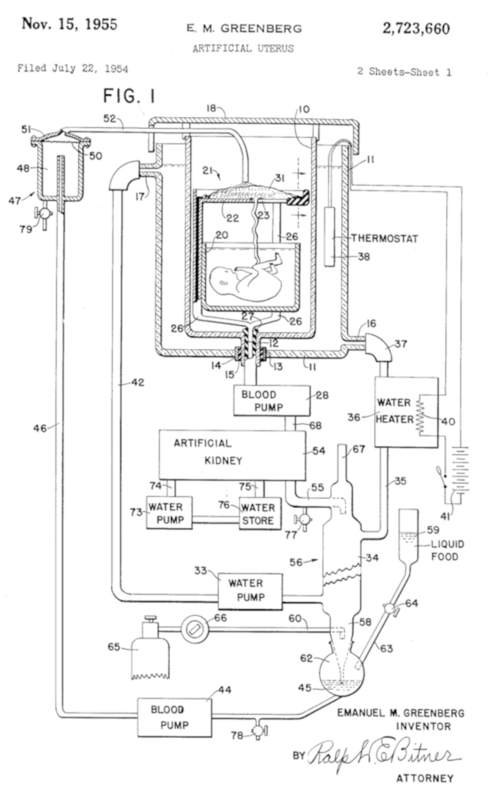 In fact, Emanuel Greenberg patented an artificial womb in 1955. His invention contains all the apparatus he thought would be required to grow a baby. There is no evidence that such a machine was ever constructed. In a 2011 paper, Dr Carlo Bulletti and colleagues re-evaluated the chances of a laboratory uterus that would supply nutrients and oxygen to an incubated foetus and would be capable of disposing of waste materials. […] the growth and development of fetuses between 14 and 35 weeks of pregnancy is within reach given our current knowledge and existing technical tools. This leaves the first 14 weeks of gestation as a currently unresolved issue, but there are researchers working on the problem who have shown some limited success using goat embryos. The final phase of foetal development can already be managed outside a mother’s womb. If a baby is born after 26 weeks in a modern hospital, it has very good chance of survival. Given all of this progress in the science of artificially keeping a baby alive, it is not total science fiction to think that babies will be grown and born from machines in the future. The drive to develop such technology is not coming from an impending doomsday scenario but from the common desire of people to want to have children. Once a robot has grown a baby, birthing will likely be easy. It may be as simple as opening a door on a machine and cutting the umbilical cord. But how would such a child be raised? 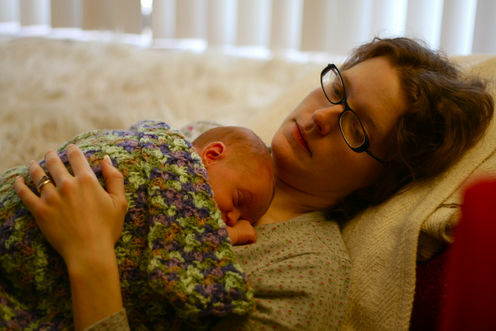 As most parents discover, birthing a baby is only just the beginning! The next 18-plus years of nurturing develop personality, character and humanity. You may think that all children have been raised by people, but there is some evidence of a few cases of non-human parents. These are the stories of so-called feral children who were raised by animals. The concept of being brought up without human parents has fascinated people from many cultures for millennia. One myth of the founding of Rome begins with the twins babies Romulus and Remus being lost in the wilderness. They were found and suckled by wolves and then fed by birds until rescued by humans. Mowgli from The Jungle Book was raised by a menagerie of animals, and Tarzan was brought up by apes. Supposedly true stories of children raised by animals in the modern era are popular around the world. Many are clearly hoaxes, but some are real. It has been estimated that there are 4,000 plausible cases of children being away from other humans and growing up for some period without human contact. Scientists have studied the effects of such experiences on these children and observed that, unsurprisingly, they suffered an initial inability to communicate that was impossible to fully remedy after proper human contact. For our smart robot parents this would not be a problem, as they would speak to and teach their infants language, as human parents do now. 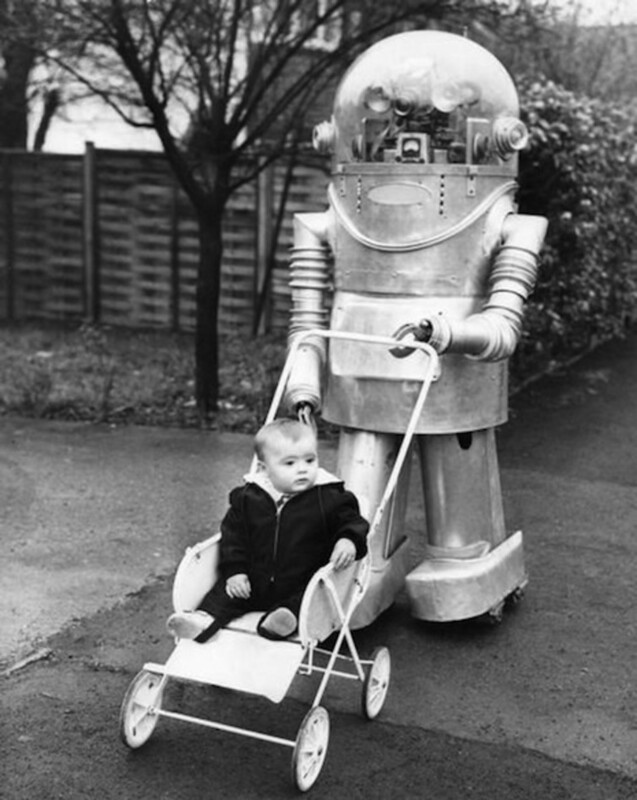 A robot nanny is nothing knew: Tinker was created by Yorkshire inventor David Weston in the 1960s. A robot parent would have a huge library of human cultural knowledge for their growing children to read, listen and watch. For example, the lack of a normal human family life could be compensated for by watching television soap operas such as Neighbours. Other television series and movies could be used to show various aspects of human behaviour. There’s even the possibility of a Superman-inspired fortress of solitude holographic projector with human avatars could educate on ethics and morality, as well as the history of Earth. The selection of which cultural traditions, ways of thinking and acting, and knowledge is presented to children and at what time is an age-old dilemma for any parent – human or robot. This would be a problem, but not a new one. Some robots are already being marketed as being able to babysit children. For many human parents, the electronic babysitter, television, and more recently “learning” through iPads has been a popular temporary relief from parenting duties. There have been calls that use of robots and iPads to help raise children is ethically questionable. 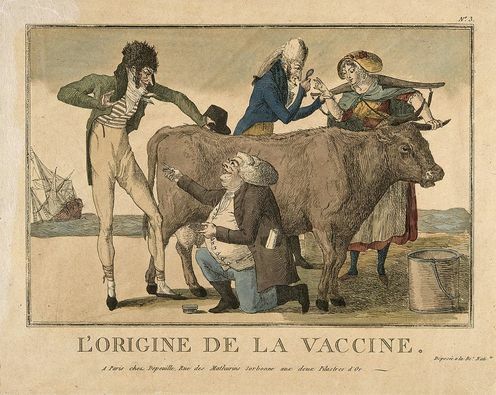 But in the end-of-species scenario we are considering here, these dilemmas are less relevant than the greater ethical question of whether we ought to keep the human species going beyond our natural use-by date? So it does seem possible that robots could one day create new humans and raise them to adulthood. But would such humans see their robot parents as a mother and father in the traditional sense we know today? That would depend on whether we could teach them to have an emotional connection with their robot carers, enough that they’d one day want to celebrate Mother’s Day (and Father’s Day) with them. Jonathan Roberts is an Associate Investigator with the Australian Centre for Robotic Vision and is a human father of two human children and numerous robot creations. Kelly Greenop receives research funding from The University of Queensland, and consultancy work to industry on both the evaluation of people’s responses to buildings, and 3D laser scanning. She is the human mother of two children and has no wish to be replaced by a robot.